MRV enjoys its legacy of 30 years. The visionary founder couple of the MRV group of schools Mr. O.P Babbar and Mrs. Janak Babbar had a dream of providing quality education comprising knowledge and values to the people. We open first MRV school in 1972 with the humble start of 5 children and 0ne classroom. Their daughter Dr. Pranavi Luthra and her husband joined them in late 90’s and took their dream forward to the extent that today MRV is a benchmark for quality education. The inception of MRV international is based on the extensive reading and researches done by Dr. Pranavi Luthra and her team of educational resource and research center on the psychological and philosophical essentialities of the children of 2 + and 3+ age and the trust which people have entrusted in MRV. MRV International is an ISO 9001-2008 certified brand accepts none less than the excellence. Accordingly it has designed its quality policy and quality objectives. Making every child happy for generating universal happiness by understanding and satisfying child's psychological and philosophical needs. • Superior care-Our day care is designed to be safe, enjoyable and learning-rich environments for your child. Age-appropriate games, crafts and fun activities are supervised by trained professionals whose specific area of expertise is early childhood education. • Right Place - Children need age-appropriate physical environments that support and promote child-directed and child-initiated play. MRV INTERNATIONAL creates positive support towards child’s interaction with space, materials and people. Teachers and caregivers are highly functional and provide easy-to-adjust environments. • Academic Advantage-MRV INTERNATIONAL has academic advantage since children are having interaction with others. Children learn fast through peer learning. Besides, children grow up in school environment, and so it prepares a child to get used to school. "I'm mother of Ruhani Malhotra. I saw Annual Sports Day It came out really well again thanks for making my child participate in dance. Loved watching her and all the kids.. Keep doing good work." "MRV INTERNATIONAL is the best play school, no school can beat it. We enjoyed watching the kids. 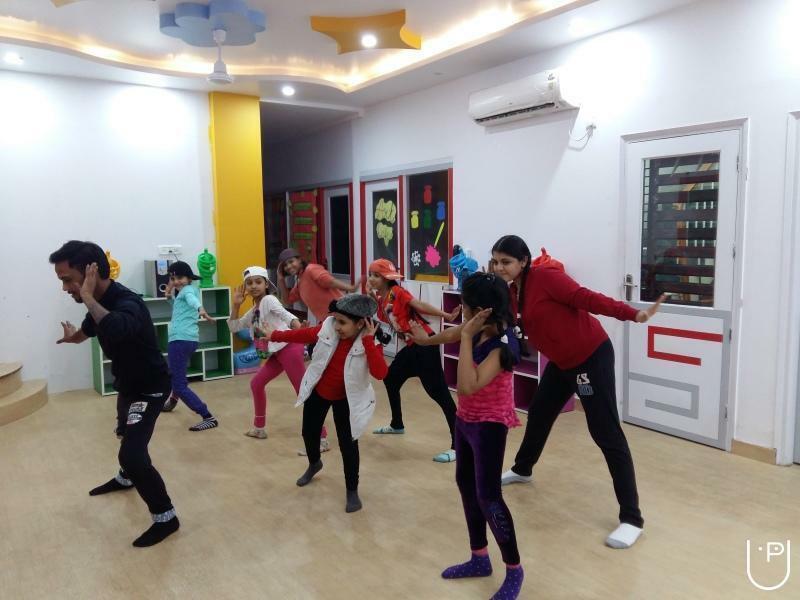 It's totally your efforts and your patience to deal with so many kids.. "
Hip Hop dance was originated in which country? New York City late in 1960s. how much time it takes to learn breakdancing? Depends on your grasping power and flexibility. 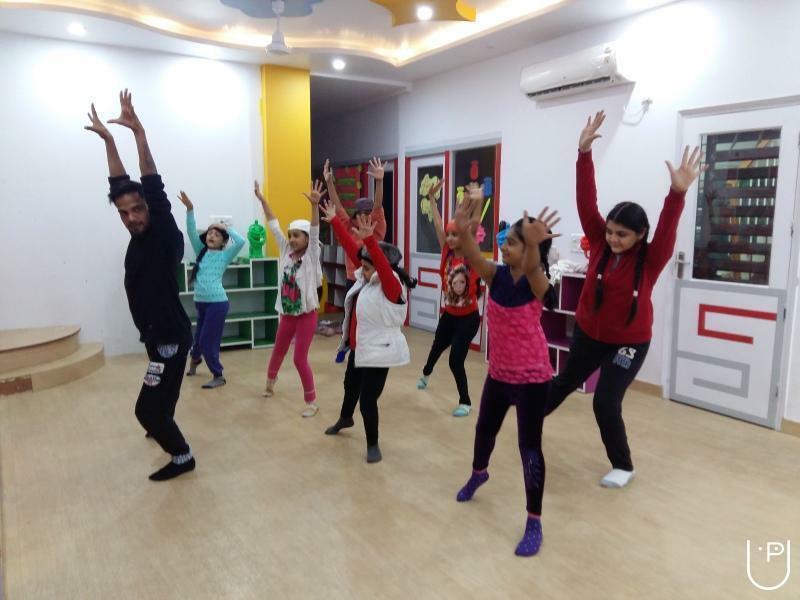 Will the children below 5 years are able to learn dance? Can I have info on Kathak dance classes nearby? How to Format a Computer with Windows 7 Warning - Formatting hard drive information does not permanently erase the data. Even after a computer has been formatted, deleted files can be easily recovered. If you want to permanently wipe your hard drive by completely overwritting hard drive data, check out WipeDrive. To format your hard disk during Windows 7 installation, you'll need to start, or boot, your computer using the Windows 7 installation disc or USB flash drive. Turn on your computer so that Windows starts normally, insert the Windows 7 installation disc or USB flash drive, and then shut down your computer. Restart your computer. Press any key when prompted, and then follow the instructions that appear. On the Install Windows page, enter your language and other preferences, and then click Next. If the Install Windows page doesn't appear, and you're not asked to press any key, you might need to change some system settings. To learn how to do this, see Start your computer from a Windows 7 installation disc or USB flash drive. On the Please read the license terms page, if you accept the license terms, click I accept the license terms, and then click Next. On the Which type of installation do you want? page, click Custom. On the Where do you want to install Windows? page, click Drive options (advanced). Click the partition that you want to format and click Format. If you have more than one partition on this hard drive and want to get rid them to make one big drive again, then select a partition and click on the Delete option for each partition. Once you have deleted all of the partitions, select the Unallocated Space partition and click Format. Pick the formatting option that you want. When you've finished formatting, click Next. Follow the instructions to finish installing Windows 7, which include naming your computer and setting up an initial user account. If you do not want to reinstall Windows 7, you can cancel the installation at this point and keep your newly formatted drives. How to Format a Computer with Windows Vista Warning - Formatting hard drive information does not permanently erase the data. Even after a computer has been formatted, deleted files can be easily recovered. If you want to permanently wipe your hard drive by completely overwritting hard drive data, check out WipeDrive. To format your hard disk during Windows Vista installation, you'll need to start, or boot, your computer using the Windows Vista installation disc or USB flash drive. Turn on your computer so that Windows starts normally, insert the Windows Vista installation disc, and then shut down your computer. Restart your computer. Press any key when prompted, and then follow the instructions that appear. On the Install Windows page, follow any instructions that are displayed, and then click Install now. If the Install Windows page doesn't appear, and you're not asked to press any key, you might need to change some system settings. To learn how to do this, see Start Windows from a CD or DVD. On the Get important updates for installation page, we recommend getting the latest updates to help ensure a successful installation and to help protect your computer against security threats. You will need an Internet connection to get installation updates. On the Type your product key for activation page, do one of the following: If you are reinstalling Windows Vista, you should enter your product key now. If you are not reinstalling Windows Vista, you can skip this step. On the Please read the license terms page, if you accept the license terms, click I accept the license terms. On the Which type of installation do you want? page, click Custom. On the Where do you want to install Windows? page, click Drive options (advanced). Click the partition that you want to format and click Format If you have more than one partition on this hard drive and want to get rid them to make one big drive again, then select a partition and click on the Delete option for each partition. Once you have deleted all of the partitions, select the Unallocated Space partition and click Format Pick the formatting option that you want. When you've finished formatting, click Next. Follow the instructions to finish installing Windows Vista, which include naming your computer and setting up an initial user account. If you do not want to reinstall Windows Vista, you can cancel the installation at this point and keep your newly formatted drives. How to Format a Computer with Windows XP Warning - Formatting hard drive information does not permanently erase the data. Even after a computer has been formatted, deleted files can be easily recovered. If you want to permanently wipe your hard drive by completely overwritting hard drive data, check out WipeDrive. The first step in learning how to format a computer with Windows XP or 2000, is to insert Windows CD and restart your computer. Your computer should automatically boot from the CD to the Windows Setup Menu. At the Welcome to Setup page, press ENTER. Press F8 to accept the Windows XP Licensing Agreement. If an existing Windows XP installation is detected, you are prompted to repair it. To bypass the repair, press ESC. Use the ARROW keys to select the partition or the unpartitioned space where you want to create a new partition. Press D to delete an existing partition, or press C to create a new partition. Type the size in megabytes (MB) that you want to use for the new partition, and then press ENTER, or just press ENTER to create the partition with the maximum size. Select the format option that you want to use for the partition (Recommended: NTFS), and then press ENTER. After the Windows Setup program formats the partition, follow the instructions that appear on the screen to continue installing Windows. MRV International conducts classes in Abacus, Aerobics and Art and Craft. It is located in Paschim Vihar, Delhi. It takes Regular Classes- at the Institute. It has got 2 reviews till now with 100% positive feedback.